Country living at its best. 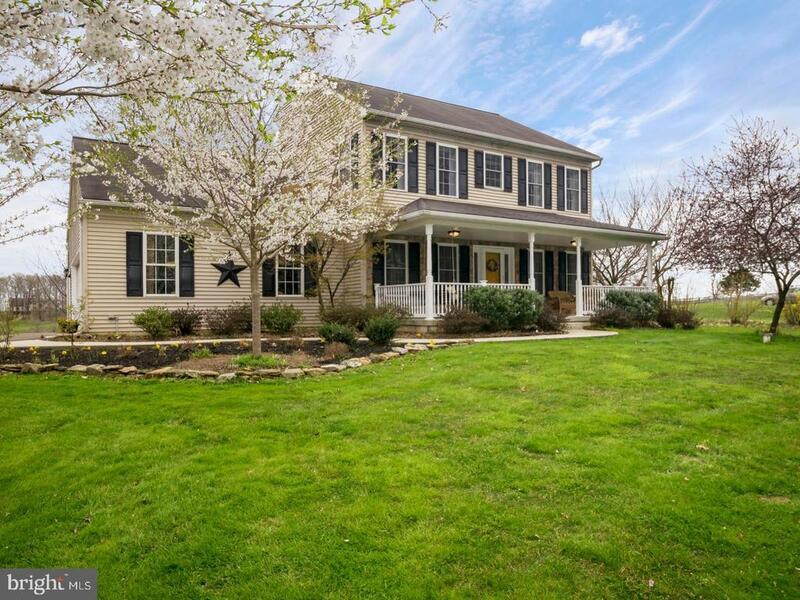 This four bedroom, 2.5 bath Colonial on 1 acre in Solanco schools backs to open farmland and has been lovingly maintained by original owners. As you approach the inviting front porch which has a swing, you enter into the main floor featuring formal dining room with crown molding and wainscoting, open concept family room with gas fireplace and and an office with privacy door, a bright open kitchen with granite counters and breakfast area, as well as a powder room and spacious laundry room with storage. Upstairs the bright open master bedroom offers a large walk in closet, private master bathroom with ceramic tile flooring. There are three additional spacious bedrooms and a beautiful hall bathroom. All bedrooms have easy to clean wood laminate flooring and generous closet space. The lower level offers additional finished living space great as a game room ready with a pool table! There is a wonderful backyard oasis with pergola, deck, patios, multiple water features, fire pit and peaceful views of surrounding farmland. Additionally, there are solar panels, oversized garage with storage space, and multiple fruit trees in the yard. You wont be disappointed! Directions: From Rt 472 turn onto Spruce Grove Rd, R onto Ashville, R onto Schoolhouse to property on R.